Hello, My name is Jean Doerflein and I've had a love for poultry since before I can remember. My grandmother always raised laying hens and she bought me my first chickens, a pair of game bantams, when I was about 5 years old. Sadly, the little hen was killed soon after I got her by my grandmother's large rooster when he flew into my chicken's pen. Needless to say the big rooster was promptly sold. The little game rooster became my best friend and inseparable from me after he lost his hen. He was the best chicken I ever owned. Once I got old enough to start mini-4-H I did and continued on into regular 4-H too. The first couple years I could show were both sad and happy. I soon learned that a chicken is not just a chicken when it comes to showing. I convinced my mother to let me get a couple ducklings to raise for 4-H too. The ducklings were supposed to be Rouens but were a production type of Rouen - half the size of an exhibition bird. 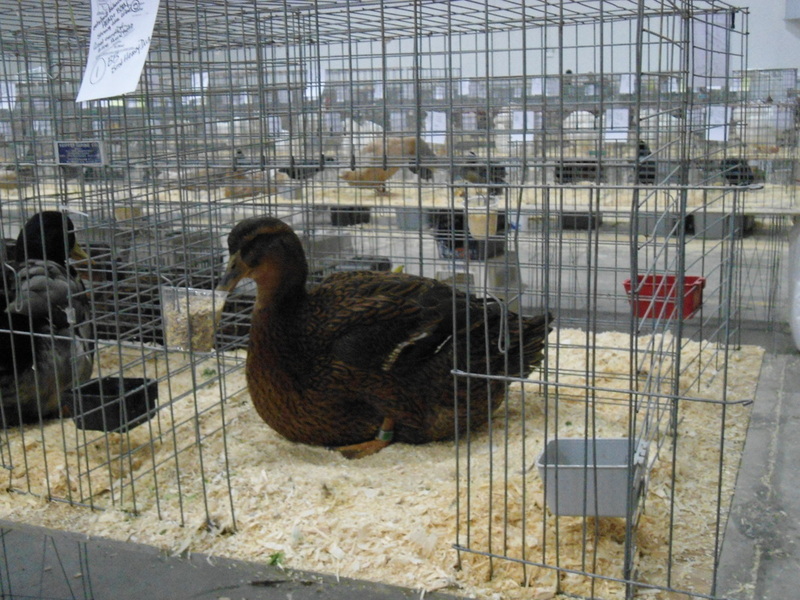 The next year I was heartbroken when my ducks didn't place at the 4-H show and I was told by the judge that my ducks were just "barnyard Rouens". After I got over my initial sadness and dismay I was determined to find "real" Rouen ducks. That year I also met Bill Wulff and got to see his farm with all his beautiful birds. I bought several pairs and trios of bantam chickens from him. He told me about the open poultry show in Connersville, IN and I decided to enter some of the birds I bought from him at the show. 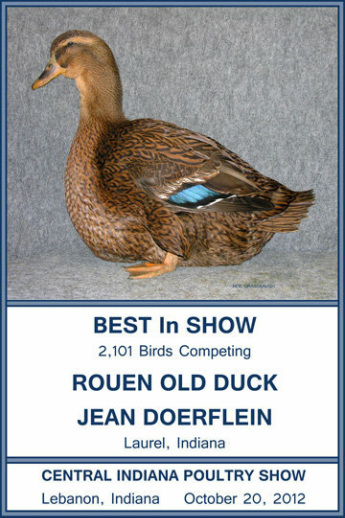 Once at the show I quickly located the sales area and soon found my "real" Rouen ducks! I bought a trio from an older man with white hair and a beard. My favorite male Rouen, Waldo, I bought there that year. Waldo won me many, many prizes over the years. Sadly he died fall 2009, from old age. Over the years I've raised many different kinds of poultry but my favorite are my Rouens. I graduated May 2011 with my bachelors degree in Animal Bioscience from Purdue University. My parents cared for my birds for me while I was away at school. I came home often though. I still showed my birds when I could too. Even though my parents cared for my birds they were not in charge of the breeding or selection of my birds I did all of that when I was home from school. I taught my mother how to operate the incubators and she's become quite good at it now. I just got a new job working in Indianapolis, IN (September 2015). I will be splitting my time between my farm on Duck Creek and my fiancé's farm in Kempton, IN. My parents will be helping me again care for all of the birds. 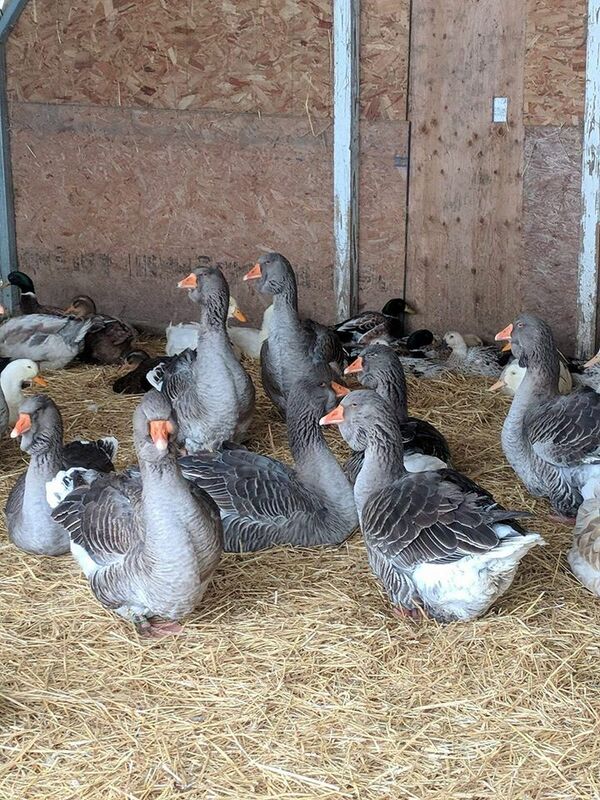 My fiancé, Jake Wilson, also raises and shows exhibition poultry (Aylesbury, Silver Welsh Harlequin, Toulouse, Blue Fawn Rouen). 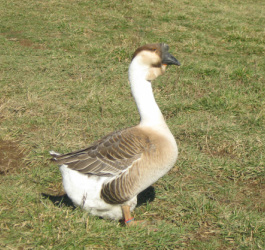 Jake and I will be teaming up on some of the breeds and varieties especially the Toulouse geese and Blue Fawn Rouens. If you are interested in any of the breeds Jake raises please call/text him at 317-379-8358. We are also interested in Great Pyrenees livestock guardian dogs and look forward to that next chapter as well. If you have any questions or would like more information on any of my livestock please feel free to contact me.